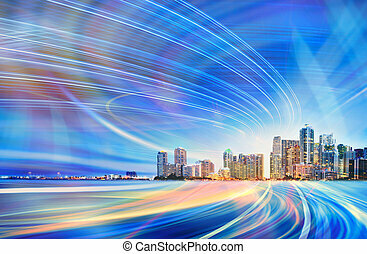 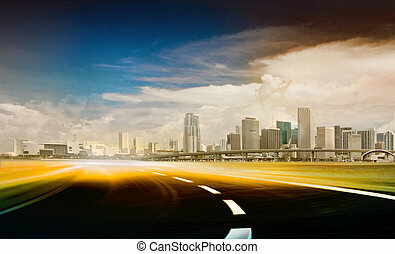 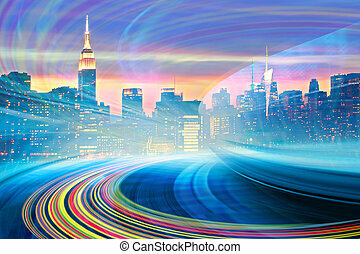 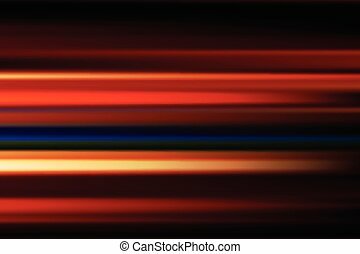 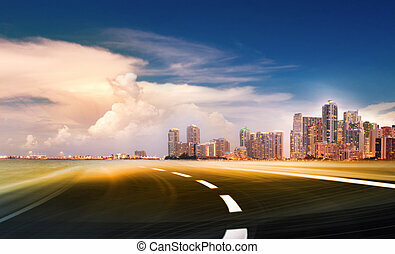 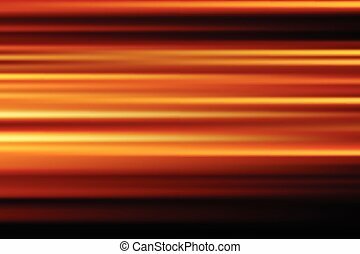 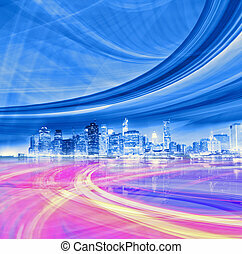 Abstract illustration of an urban highway going to the modern city downtown, speed motion with colorful light trails. 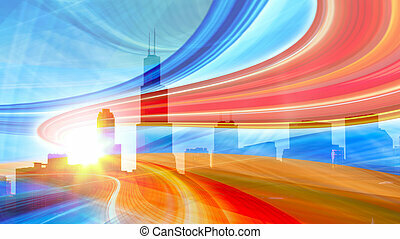 Abstract Illustration of an urban highway going to the modern city downtown, speed motion with colorful light trails. 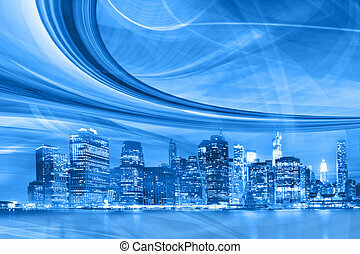 Image of New York City skyline is from my collection. 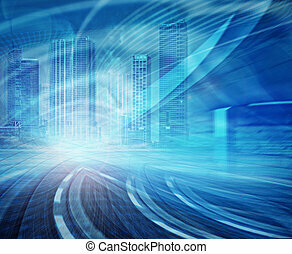 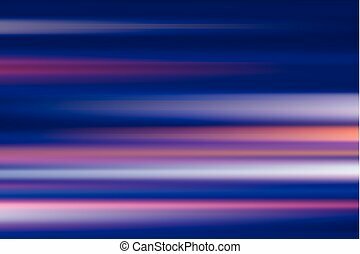 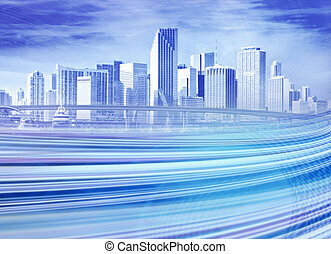 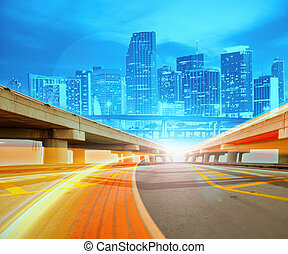 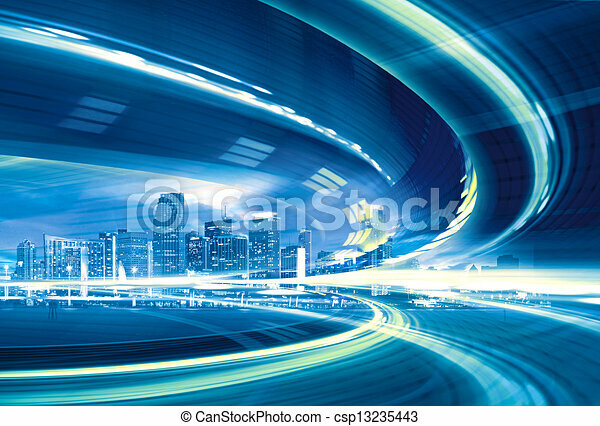 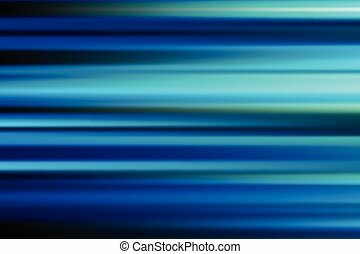 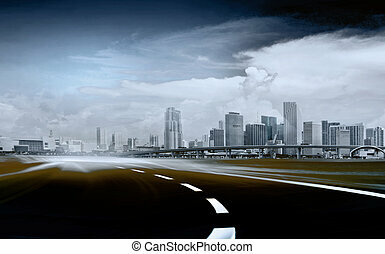 Abstract Illustration of an urban highway going to the modern city downtown, speed motion with blue light trails.